What else does AdWords offer? (5/8) Google AdWords is of course the general label for a growing series of advertising products from the search engine. The simple text-based ads on search results pages are becoming increasingly sophisticated, with the various “extensions” on offer. In addition, there’s the Google “shopping” results section, giving direct access to online stores from search results. 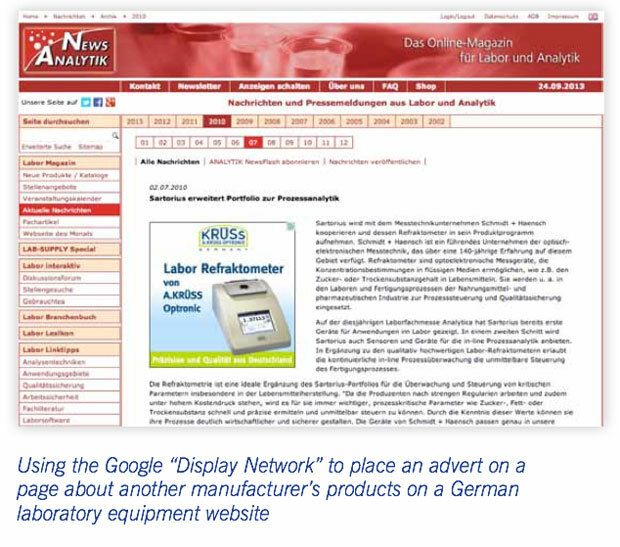 Text adverts can also appear on hundreds of thousands of third-party sites through the “display network”, which has more control options than ever. And the “display network” doesn’t stop with text ads. Google is the world’s biggest banner ad broker too, with an increasingly sophisticated range of targeting options. These include “remarketing”, where your banner ads can be set to show on many sites which individuals might visit after they’ve looked at your own site: Ideal for follow-up messages. While the targeting which these services give you is unprecedented, the learning curve is relentless. No wonder Google offers certification for those dedicated souls who can keep up to date. But you don’t have the time to learn any of this, and with BMON, you don’t have to. We’ll keep you informed of what’s available, and you just have to decide whether you want us to use it.